“Southwest Art Stars,” Montreal Mirror. 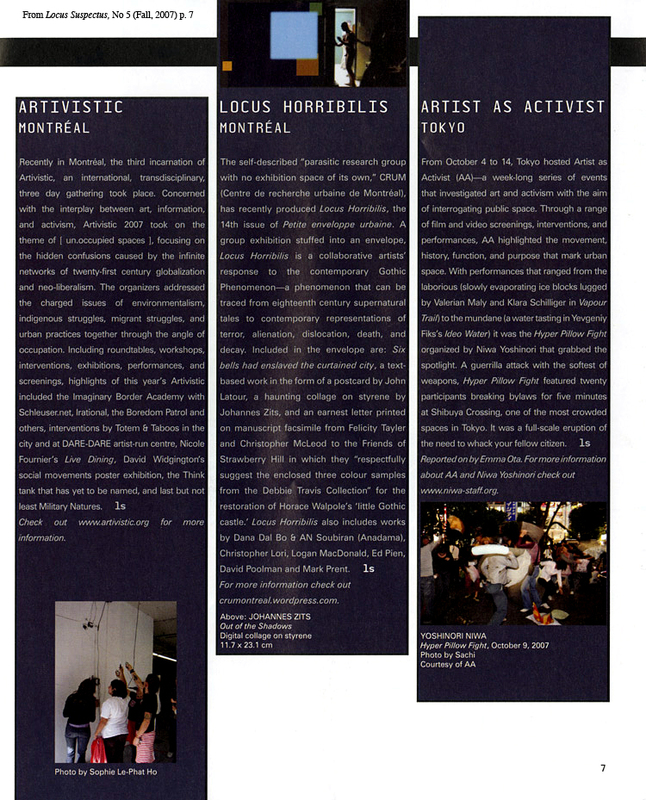 Vol 25 no 7 (2009), Arts section. Andrea Carson, “VoCA recommends 2 in Montreal one in Toronto” View on Canadian Art. 13 November 2007. Steve Faguy, “Blogosphere,” The Montreal Gazette, Saturday 13 October (2007), B2. Christine Redfern, “Street dreamscape,” Montreal Mirror, Vol. 23 no 18 (2007), Arts section. Les Commensaux : Quand l’art se fait circonstances / When art becomes circumstance. Eds Patrice Loubier et Anne-Marie Ninacs. Montréal : Centre des arts actuels Skol, 2001.